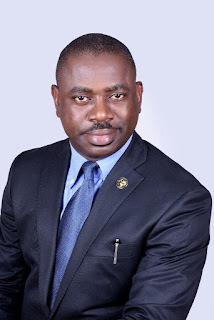 Home Politics INTRODUCING . . .O’DIAKPO OBIRE, PhD….PPA’S GOVERNORSHIP CANDIDATE IN DELTA STATE. INTRODUCING . . .O’DIAKPO OBIRE, PhD….PPA’S GOVERNORSHIP CANDIDATE IN DELTA STATE. We are glad to welcome you to the Delta Change Revolutionary Mandate - DCRM Project which is targeted at senaitizing and mobilizing Deltans towards the realization of our collective aspirations and desires for Change. Without doubts, Change, renowned as life's apparently ONLY CONSTANT phenomenon, has been one of the most passionate desires of the People of Delta State, since 2003, about the time the transition preceding the immediate take-off of governance in the wake of the present democratic era begun in 1999. It was the imperative need for Change that Deltans in their massive numbers have been pursuing the process of wanting to change the system of leadership offered by the Peoples Democratic Party, PDP, which was the party that produced the crop of those that formed the government in the State in 1999, when that tenure reached a climax in 2003. The result was the overwhelming support for the Alliance for Democracy, upon which platform a highly respected and notable Deltan, Chief Great Ovedje Ogboru contested the governorship elections with the then Governor James Onanefe Ibori who was seeking re-election to remain seated for eight years of two tenures. The race to have a change in the system of governance and bring about a different crop of persons with different ideas to pursue the cardinal objective of moving the State forward and building a virile State of the dreams and aspirations of all Deltans, home and abroad, have seen very tough challenges that has witnessed fierce contests between the PDP that has held the State down since 1999 and other parties over the years, and precisely in virtually every gubernatorial elections. It is remarkable to note that when the new national collaboration among several political parties at the time was brokered under the aegis of the All Progressives Congress, APC (which consequently made the “CHANGE” slogan popular) came into force in the run down to the 2015 general elections, Deltans, again, displayed their undying passion to derive Change by going all out to embrace the message of Change brought by the APC. While the much desired Change is yet to be achieved, however, the analogy of the scenario from the 2003 gubernatorial elections right to that of the 2015, clearly points to the fact that until "Change" is attained, WE as a People are never going to have that satisfactory feeling of uniqueness of a people that have risen to the occasion to build a society of their choice. And, it is upon this realization, that Deltans shall remain constantly resolute in chasing after Change, that we have taken this bold step, after carrying out critical appraisal of the circumstances and indices responsible for where we find ourselves in today, to offer Deltans another, bright and beautiful opportunity to achieve their long-awaited dream. First, in taking this bold step, it is pertinent to note that we have taken into consideration all the issues that are responsible for the inability of the deep passionate yearning for change over these years, to come true. We have also strived to painstakingly embark on a very thorough research to fathom the solutions to the lingering Change question. It is therefore, based on the premise that we have been able to identify the immediate and remote causes of the perennial failures so far and at the same time discovered the perfect solution to it that we have taken the bull by the horns to chest out to be given the mandate to secure this much desired Positive Change for all Deltans. In our drive towards achieving this therefore, we have decided to adopt measures in endeavoring to do things differently, because there is no doubt about the fact that until you changed the Methods of Approach, Instrumentality, Personalities, and every other decimal in the recurring failure to attain this goal of Change, there is very little or nothing that could be achieved. Perhaps, it is necessary to reassure all Deltans, especially those that have been part and parcel of the prevailing order of governance that the Change we seek to bring to bear is neither targeted at witch-hunting anyone, nor designed to enslave any Deltan – rather, the Change we Preach, is a Change that would bring positive impact on every Deltan irrespective of Religious Beliefs, Ethnic Backgrounds and Party Affiliations. Without mincing words, we want to make bold to posit that, just as the saying goes that: “He who goes to Equity Must Go With Clean Hands”, so also, the Ambassador of the Change we sincere profess to bring to bear must, as a matter of principle, be relatively free from being part of the rot that has brought the harsh consequences upon Deltans that necessitated change in the first place; possess an outstanding reputation that commands social, political and religious respect; and maintain an unblemished track-record of esteemed National Reputation. To this end, having discovered a Worthy Deltan of such impregnable and impeccable Character, wish to formally introduce to you, this Great Deltan of the desired pedigree required to pursue the Cause of Change on a purely unsoiled grounds, the erudite DR. O’DIAKPO OBIRE, as the most Credible Alternative to front the Cause of Change – A Deltan that stands tall among his contemporaries and an ardent apostle of positive impact. Dr. O’Diakpo Obire, who hails from Ovu in Ethiope East Local Government Area of Delta State, is the President of Greater Delta Foundation; an Entrepreneur and Chairman/CEO Hatfield Group, a consolidated group that has carved a niche for itself as a dependable and formidable partner in the Hospitality Industry (Hotels & Resorts), Farms, Construction & Engineering, Manufacturing & Security Equipment Services. He also administers a Finance & Management Consulting Firm as well as a Medical Services Company that is purely into Hospital Equipment. Very popular and influential with distinguished recognition by virtually all Delta statesmen, industry experts and politicians, within the State, across the Nigerian Nation including Africa and the rest of the World, Dr. Obire stands tall among the rare class of Deltans that possesses all the strings to benefit from the system of governance in the State but who chose never to soil his hands by participating in the seeming greasy meals that has turned the State into a less-desirable haven for its indigenes and residents alike. We present to you, O’DIAKPO OBIRE, PhD., the Best Man Standing, in the march to the 2019 elections, who could stand up, look any other contender in the eye without blinking and scale through the test of integrity. We present to you the Most Credible Ambassador of Change that Delta has to offer in the quest to fulfill the lingering desire to have Change Happen in the State. The Best Man for the Job and THE ONE, WE HAVE BEEN WAITING FOR! At this juncture, we call on Deltans to rise up to the occasion, for the time is now, ripe for us as a People to take our destinies in our hands, and together, vigorously push to break down barriers, to seize and recover all that God has provided to make life better for all of us.